Please note, while it is great to do this with the New Moon, you can really start ANYTIME, so don't make excuses why you can't start TODAY! As we begin the New Year, the general energy is to start something, change something, begin again, reset…All the redos, and today we are lucky enough to have the power of the New Moon in Capricorn to help us along. Often people who are not able to create the life that they want, aren’t really clear on what that life is. When we are trying to direct the ship, we need to have an idea of where the destination might be. It can change and morph, but we move faster and with more flow when we have gotten quiet enough and brave enough to figure out where it is we want to go. Once we get clear on what it is we want to create, we can start taking steps, even the smallest ones, in order to get closer to it and have more answers. There are many different paths that you can take in order to move towards where you want to go, and the partial solar eclipse will help you find a pathway that could be in more flow towards achieving all that you want. The energy of Capricorn can help us to stay disciplined and focused. Our big goals can be overwhelming to think about, but if we start breaking it down to smaller steps, things that we can easily start ticking off, we will start to grow our courage muscle. We’ll start to step into our vision even stronger and it can start to feel effortless. The truth is, you don't have to have any connection to the moon to enjoy these rituals. At the very least, it is a nice reminder every few weeks to check in on what you want to bring in and what you want to let go of..
With your crystals, candle and incense lit, listen to the Play List . Take your time. sit quiet with your eyes closed listening, taking long deep breaths. Feel your breath moving through your body. With your eyes closed, allow them to gently roll back and up towards your third eye. Allow yourself to see whatever comes up. Getting quiet. Going in... Reflect. Think about what has been standing in your way, and see yourself moving it. Then start focusing on all that you want to bring in. When you already, grab your jouranl and start writing. You can do this is any way that feels comfortable. This can be lists, descriptions, anything that gets you into the feeling of what you want to bring forth. Get excited about all that is coming. Start to think about the small steps you can use to move forward. If you want to be more guided, you can use the journal exercise I posted awhile back HERE. It will be a different playlist, but a guided journal experience. "This mantra is to fix the mental to prosperity or power. It will produce money, it will come. Opportunities will come. Richness will come..." - Yogi Bhajan This isn't just about money, it is whatever it is that you are asking to call in. Repeating it along with the song as you let the smoke cover your energy. Feel the blessing of letting things that don't serve you go, and then feeling all that you can be. End at the crown , above the head. When you’re done, place your crystals out in the moon light. I like to let my crystals sit out for a minimum of 24 hours…When you take them back in, they will have the power of your intentions. If you can’t put them outside, put them near a window. Above, is just what I do, but feel free to tweak it and make it your own. Tap into what feels good for you. If you are looking for a little extra help with making 2019 a year beyond your wildest dreams, Book a One on One Session with me! Looking forward to connecting! Enjoy...Drop me a line and let me know, how it went. I would love to hear from you! With today's New Moon in Cancer, the focus is on pain from the past. It might feel as if old feelings have returned, feelings you thought you had already put to bed. These memories and past discomforts are not showing up to cause you more pain, but instead to help you to truly heal them. As I often post about, our disappointments and sadness are not life sentences, they are opportunities to learn and grow. This doesn't mean it is always comfortable, but it also isn't something to avoid. When we lean into it, and truly feel it, we have the ability to really learn from it and release it. We can recognize that that pain does not have to define us, but instead can truly be an opportunity for growth. I invite you to look at the your past from a different view. Instead of focusing on the pain that it might have caused, what would it feel like if you paid attention to all the good that came out of that pain? Seeing the strength you had to get through it and the tools you learned. Noticing the compassion you have for yourself and others because of it. This is a perfect time to go deep. Really feeling and going in to truly notice what is coming up for you. What are you trying to avoid? What gifts have you received from it? For tonight's ritual, we will work with our conscious breath. If we can control our breath, we can control our mind. If we can control our mind, we can control our experience on the physical realm. We are the only living organism that can self regulate our breath. That gives us power over our energy, our mind and our lives. I have made an Audio file that will walk you through the breath, It will start by tuning in. I will also be reading excerpts from a talk below that Yogi Bhajan gave on breath. Please create a sacred space for yourself, light your incense + candle, take out your crystals. You'll start by playing the below mediation. When you are finished, you will start to journal, and use this PLAYLIST. Take out your journal and just start to go in. See what is coming up for you. Allow yourself to see that pain that might be present, and then noticing all the gifts it has brought you. Paying attention to the victories you had made from situations that didn't go how you might had originally hoped. Take your time. When you have finished, spend some time setting intentions. I bow to the primal wisdom. I bow to the wisdom through the ages. I bow to the true wisdom.I bow to the great unseen wisdom. Using this breath for meditation will quickly ease your mind, eliminate fear, and help you sink deeper into your body and into the present moment. Use this tool anytime you experience anxiety or depression. Breathing 3 times a minute will be broken down as 5 seconds to inhale, 5 seconds to hold, 5 seconds to exhale. Be calm with the breath. I explain during the recording. Breath is life and life is breath. There is no difference between the two. It is your breath of life. You have to care for it. We don’t remember that the breath has got any importance for us. We do not know that we are attached to the breath. We think it is automatic and our great grandfather must have signed a lease for it. We worry for everything in this world, but we do not worry on that which gives us life, that is our breath. Moment you don’t breathe, they throw you out. Breath is your everything and you have no time to meditate on that. You meditate on God, but not on the breath, which is the tender charge of God. I have to tell you one thing very clearly. I can only pass on the truth to you. I cannot sit in you and breathe. Your mind stops automatically when you are doing a mechanical breath. Your mind cannot go anywhere. It comes right to the point and it says, ‘Yes, master’. Normally it says, ‘Hey, slave, do what I say’. But once you start rhythmic mechanical breathing, mind shall stop. And if you really do it well for a while every day, you will be shocked to find that the mind will not disobey you for any reason. In yoga never breathe a breath of life automatically, always breathe mechanically. Thirty-one minutes of mechanical breathing can give you better health than you ever had before. It can give you strength beyond understanding. It can give you answers for every question, which you can’t even imagine. Because you live by the breath and you die by the breath. So you must enjoy the breath. And to develop intuition, you must have your breath, the basic elementary power of life, under your control. Only conscious breathing, praanayam, gives you consciousness. You can breathe automatically. Breathing you can do unconsciously. Why do we do conscious breathing? Are we insane? No. Conscious breathing leaves you with consciousness. Conscious relationship with praana is the conscious relationship with (Divine) Consciousness. If you can command the breath of life and consciously breathe, you can be in command of your life and environments will relate to you as per your wish. May we all understand, in the breath of life we can be Infinite and with our fearlessness and character, we can achieve all the riches of the earth to share them with mankind. If you’re ready to start something new and want a little extra help, I would love to see you in New York City in person, or virtually anywhere Schedule a time here. Looking forward to connecting! *While the energy is amplified during the New Moon, please note this guided meditation can be done at any time. The new moon in Gemini is all about communication. It is not just about the communication we have with others, but what is the conversation you are having with yourself. This New Moon is asking us to go deep and get clear with our communication. Gemini represents both sides of the coin, the twins. We often are caught in the conflicting sides of the situation, and can find ourselves battling ourselves in our head. Trying to workout what direction we actually want to take. Different parts of us want different things and how do we know which part we should listen to? How can we truly manifest when we aren't always sure what we actually want for ourselves? So, for this New Moon, we want to open up a conversation with our subconscious, allowing answers to unfold. How do we do that? Well, I created a guided meditation for you to help bring answers to the surface. Think of it as a mini Energy Session. It is filled with Reiki + Sound + Guidance + Healing. Reiki energy healing can move time and space, so you will feel it, even though you are not with me at the time I recored it for you. Please create a sacred space for yourself, light your incense + candle, take out your crystals. You'll start by playing the below guided mediation. When you are finished, you will start to journal, and use this PLAYLIST. Take out your journal and just start to go in. See what is coming up for you. Let yourself free flow, allow your subconscious to just allow itself to be heard. Listen for whatever answers might be there. Do not judge yourself, just allow. The words are easy enough to pick up and refer to different aspects of the Divine. Join me on June 28th in New York City! Please note there are limited spaces, so please sign up soon. Last month we SOLD OUT! You will leave with your own sacred tools (crystals + palo santo) to continue releasing when you return home. There will be a guided Reiki Healing + Kundalini + Releasing ceremony that will be amplified with the Power of the Full Moon. 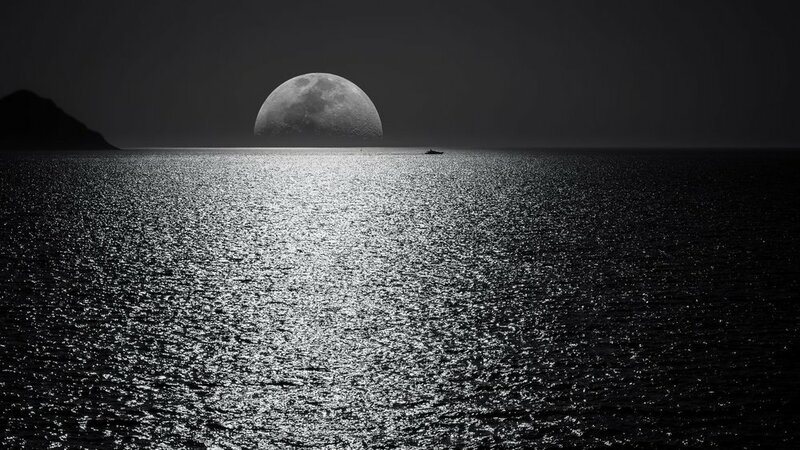 The full moon acts like a magnet, affecting the tides of the ocean. The moon, like us, is made of about 85 % water and so we too are affected by the energies of the moon. It will pull at things that we have been trying to keep buried. We will have more access to the subconscious mind to release the past. The light is an opportunity to see what needs to be released. You have to acknowledge it in order to let it go. Posture: Sit in Easy Pose with the palms of both hands and fingers are completely touching. The outer edge of the mound of the thumb is pressed into the sternum. Posture: Sit in Easy Pose with a straight spine. Mudra: Place the hands at the center of the chest with the tips of the thumbs touching each other and each of the fingers touching the corresponding fingers on the opposite hand. Leave space between the palms. The fingertips are pointing upward. Eye Focus: Look at the tip of the nose. Breath: Breathe 4 times per minute: inhale 5 seconds, hold 5 seconds, exhale 5 seconds. This meditation is especially useful for dealing with stressful relationships and with past family issues. lt addresses phobias, fears, and neuroses. It can remove unsettling thoughts from the past that surface into the present. It can take difficult situations in the present and release them into the Hands of Infinity. I am so excited to announce that after the incredible evening we had at last month's New Moon, I am doing it again! The prayer has been given to Guru Amar Das. The prayer is manifested by Guru Ram Das. The miracle is complete. Guru Amar Das is the energy of grace and hope when there is no hope. Guru Ram Das is the energy of miracles, healings and blessings. This is the prayer to answer all prayers. Awhile back I asked you guys on Instagram, what you wanted me to do a video about, and the overwhelming answer was CRYSTALS! I was lucky enough to sit down with one of my favorite people Melissa Wood and discuss all things crystals! Because crystals are so powerful and I feel so connected to them, I could talk about them for hours. The healing, the beauty, the inspiration I find from that crystals has been something I resonated with since childhood, I could go on I like to think of this as a sort of quick simple guide to crystals - there’s something in it for everyone. Please join me in person in NYC for NEXT MONTH"S NEW MOON ON MAY 15th. This is the first time in over a year that I have held a New Moon event. I am so excited to see you there! Please note there are limited spaces, so please sign up soon. You will leave with your own sacred tools (crystals + journal for your New Moon intentions) to continue setting your intentions when you return home. There will be a guided Reiki Healing + Intentions ceremony that will be amplified with the Power of the New Moon. With today's New Moon in Aries, the focus is on change. Since the last Full Moon, you might have noticed that light has been shed on the things that are no longer working for you. With the energy of the New Moon in Aries, we have more support than ever to commit to making these changes. We can let go of habits, thoughts, patterns, beliefs, stories that are no longer serving us. While we let go of the stuff that no longer serves us, we make room for new habits that bring us more freedom, happiness and joy. I will still clear and charge my crystals with the New Moon, and you can checkout THIS POST if you want a great journaling and crystal clearing exercise. If you haven't gone through it yet, I truly suggest you do, it is about letting go of habits. It works perfectly with the energy of this New Moon. I invite you to start and commit to a 40 Day meditation with me. I have been doing it since December and I can not express how powerful it has been. It is an instant calm for the nervous system. Now, I just hear the words and within moments, my body instantly relaxes. I know many of you are still doing the 40 day meditation that we started last FULL MOON , don't stop, just add it in! Remember , the more mantra and meditations we add, the easier it is to clear and change the old thought patterns that are stuck in our subconscious. Mantra and mudras direct our subconscious in the direction we want to go. You can also just have the song on and chant along during the day. I made an audile file that includes calling you in, and taking you out, You will follow along with the song, saying it out loud at first, then whisper, then silent, then whisper, then out loud. This meditation brings a total mental balance to the individual psyche. Vibrating on each fingertip alternates the electrical polarities. The index and ring fingers are electrically negative, relative to the other fingers. This causes a balance in the electromagnetic projection of the aura. Practicing this meditation is both a science and an art. It is an art in the way it molds consciousness and in the refinement of sensation and insight it produces. It is a science in the tested certainty of the results each technique produces. Posture: Sit straight in Easy Pose. Eyes: Meditate at the Brow Point. Each repetition of the entire mantra takes 3 to 4 seconds. This is the cycle of Creation. From the Infinite comes life and individual existence. From life comes death or change. From death comes the rebirth of consciousnes to the joy of the Infinite through which compassion leads back to life. Mudra: This mantra can be done in many different mudras. Most common is to begin in Gyan Mudra. The elbows are straight while chanting, and the mudra changes as each fingertip touches in turn the tip of the thumb with firm pressure. On SAA, touch the first (Jupiter) finger. On TAA, touch the second (Saturn) finger. On NAA, touch the third (Sun) finger. On MAA, touch the fourth (Mercury) finger. To End: Follow with one 1 minute of stretching the arms over your head and spreading the fingers wide, shaking them out, circulating the energy, inhaling and exhaling 3 times. Relax. For those of you in New York City, I encourage you to sign up for HERE, so you can be the first to know the detaiks of the New Moon event I will be doing along with A Wild Dove. We would love to see you there! If you’re ready to really go after your goals and want a little extra help, I would love to see you in New York City in person, or virtually anywhere Schedule a time here. Looking forward to connecting! New moons are the Perfect time to focus on new beginnings and things that we want to bring forth. 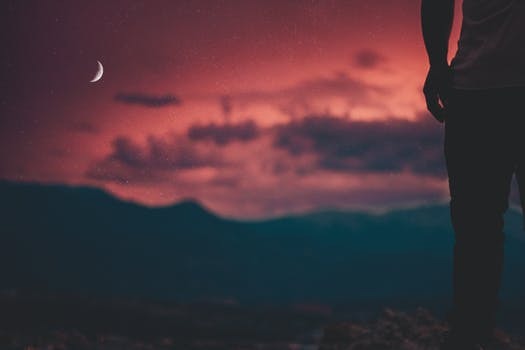 The first New Moon of the year, in Capricorn, is especially powerful for setting your year in the direction you want it to flow. 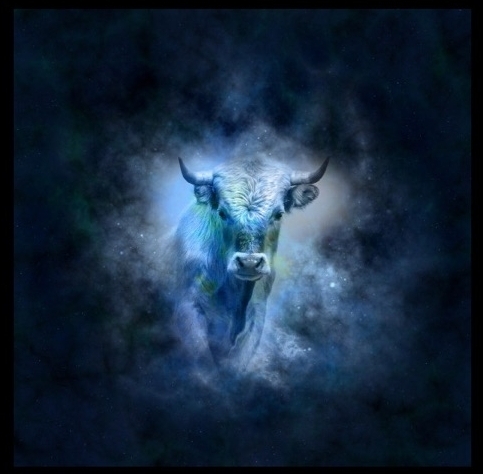 The New Moon in Capricorn is all about setting long term goals and taking actions towards them. To start, let's get quiet. For me, I will sit by my Altar, light my incense and candle and play THIS PLAYLIST . I find practicing One Minute Breath, before I journal, helps my creative flow. It calms my mind and my body so that my thoughts can flow clearly. It helps me get into my body, and into the present moment. Sit in Easy Pose with Neck Lock. Neck Lock: Lift the chest and sternum up while lengthening the back of the neck, by pulling the chin toward the back of the neck. Neck, throat and face muscles remain relaxed. Inhale very slowly for 20 OR 10 OR 5 seconds. Adapted from The Library of Teachings and KRI Teachers Manual. After you free flow with your thoughts, start to add structure to your journaling and goal setting. I find the more detailed I get with my goals, the easier it is to see the steps I need to take to create them into my reality. So, be specific with each goal. For this exercise, focus on one goal at a time. You can repeat it multiple times, but stay focused and bring each goal through the list of questions. 1) What is it that I want? It is important that we get clear on this. The process of manifesting and creating the life we dream of, starts with us holding a vision of it. In order for us to create the life, it helps to see it, feel it, breathe it into our energy and hold it on our body. So, specifically write down; how will you feel when you have this goal met? What will change for you physically? emotionally? visually? Go through all the different aspects of your life that can change when you attain the goal. 2) How will you know you have met your goal? It is helpful to have clear milestones that show you progress in attaining whatever it is you are wanting to call in. In this step you want to create timelines where you check in to see the progress you made. It is important that you take your time with this step. Putting down right now as when you want to have this goal is not setting yourself up for true success. When figuring out your milestones and the times to attaining them, you really want to think it through. What are the steps you will have to take? How long will those steps take? Think about this step as if you are making a map with timeframes on your goal. 3)What might stop you from having this goal met? This is not to be negative, but we want to anticipate some of things that might present themselves as obstacles. This way we go in, knowing how to get around them...So think about some of things that might stop you and then go inside and see the ways that you can get yourself around it. This includes outside influences, as well as inner stories that you tell yourself. Walk yourself through your doubt, so that you don't let it stop you. 4) What resources do you have NOW, that can help you in achieving your goal? Go through and inventory all the things, people, connections and support you have that can help you with achieving your goal. This could be a friend who is in the field you are looking to move into, an editor of a blog you might want to be featured on, a Yoga teacher that inspires you etc...More often than not, people want to help each other. Get together with people that inspire you towards your goals and spend time with them. Ask the questions, ask for help. It is incredibly helpful to hear other people's success stories. This gives your mind the conformation of what is possible. 5) What are your steps? After answering the first 4 questions you will have the answers to your last question. What steps can I take to get closer to my goal? List out the steps you need to make. Give yourself a number of steps you want to take each day, week, month etc...Track it. Write down what you want to accomplish and when you do, write it down that you have completed it. Look at it often, SEE your progress written down, in your handwriting. This can be really helpful when you are having an off day. I have used these questions on myself and with clients, and if you do the work, your goals are just moments away... Please let me know how it goes! And if you haven't started yet, NOW is a perfect time to start the New Years Mediation I posted a few weeks back, you can find it HERE . A New Moon is a perfect time to start a new habit. 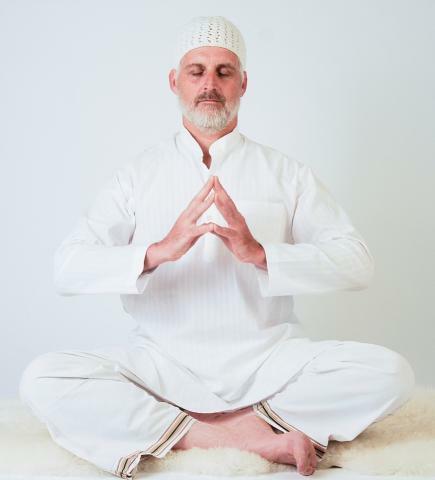 Remember, Yogi Bhajan says practicing every day for 40 days straight will break any negative habits that block you from the expansion possible through the kriya or mantra. Delivered to your IN Box. Receive Your First Meditation Now! I Promise Not to Spam!